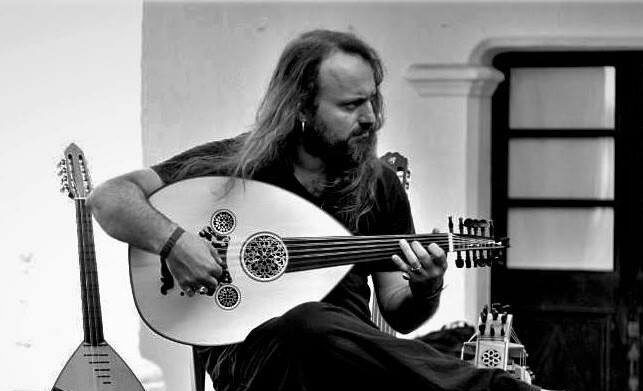 Efrén López: Sound recording & production for acoustic instruments / 1st Period / 12 – 16 Apr. • Enabling everyday spaces for music recording. • How to plan a recording session. • Analysis and choice of the right microphones for each instrument. • Placement of the microphones. • Final mix: how to create plans, depth and different environments. • Basic processing of voices and instruments: compression, equalization and panoramas. • Music planning prior to recording. • Instrumentation and arrangements that “work” in a production. The tools we use are very basic: laptop -with the Reaper program and the Waves plug-ins, Fabfilter, Soundtoys …- and varied microphony, elements that are within the reach of practically any economy. We will demonstrate that, with a minimum of musical knowledge and material used, we can achieve very satisfactory results by ourselves. The workshop is aimed at interpreters of all types of acoustic instruments as well as singers, as well as sound technicians who wish to experiment in depth with the sound of unusual instruments in the music of majority consumption. During the workshop we will surround the process of musical creation in its entirety, preparing the room and recording our own arrangements of compositions that will be made available to the attendees previously in the form of sheet music or audio files. These arrangements will be adapted to the instruments and voices that we have depending on the students, and recorded, mixed and mastered by ourselves. • For those who come as musicians and want to participate in the recording of any of the songs, and to try to invest the least possible time in the shots, it is essential to omit one or more acoustic instruments or singing. • Solfeggio notions are needed, but they can be helpful. • It is not essential to bring your own material, although if you work with different Reaper programs, it may be helpful if you use your own program. Efrén López is, in addition to musician and composer, sound engineer, arranger and producer, and responsible for the sound of record works of L’Ham de Foc, Kelly Thoma, Ross Daly, Stelios Petrakis, Evo, Stelios Petrakis, Petrakis / López / Chemirani, Milo ke Mandarini, Aman Aman and Sabir among others.